The coveted new line will also be available on Sephora's website, but as of right now, they're still on preorder. And according to the retailer, they won't be available for sale until October 6. So what makes McGrath's lipstick the stuff of beauty editor, model, and celebrity dreams? Well, to start, there's the impeccable formulation, which in our humble opinion, might just be one of the best on the market. And considering that the brand has a typical trajectory of selling out within seconds, and inciting overall frenzy in general, well, we know we're not alone. McGrath's take? "These palettes, pencils and lipsticks are my Fort Knox, my Bank of England vault. This packaging contains my gold standards, emblazoned with my hallmarks of excellence. 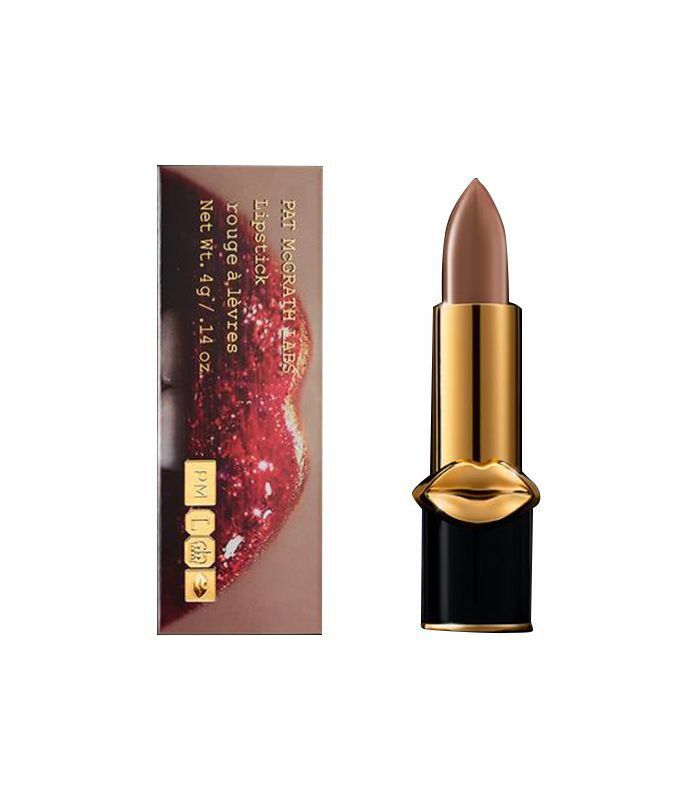 Everything in this PAT McGRATH LABS collection is beauty bullion, created to feed our frenzy; empowering beauty and fashion addicts to become their own cosmetic couturiers." Ever the visionary, McGrath explains her new Lust: LuxeTrance lipsticks as a "luxury cream formulation," which effortlessly "laminates the lips" while simultaneously delivering saturated, richly hydrating pigment. In other words, it's a truly lips-to-kill formulation that any and every McGrath fanatic is practically convulsing over. The clincher? According to McGrath's statement, "Each signature shade offers every complexion a personalized couture look, for lips that arouse artistry and elicit envy." Not only does the sumptuous color range align perfectly with the impending sultry feel of fall, we also love that the assortment (as with McGrath's entire collection), is created with every complexion in mind. And since we know you want the details, here's the nitty gritty: There are 31 shades in total, and they are split into three different collections: Skin Show (nudes), Colour Blitz (juicy reds and pinks), and Vicious Venom (vampy hues of chocolate, red, and burgundy.) Now for the most important question, which tube will you try first? Head to patmcgrath.com to pick your poison before all your favorite shades are gone. There has already been one casualty (Paradise Garage), and if history repeats itself, the others are sure to follow suit. Next up: Meet Pat McGrath's four Instagram makeup muses.